The Democratic Republic of Congo's highest court on Monday ended former warlord Jean-Pierre Bemba's bid to stand in this year's presidential election, upholding an earlier ban imposed on him for bribing witnesses. "The constitutional court... confirms the ineligibility of Jean-Pierre Bemba Gombo for suborning witnesses by resorting to bribery," said the court's president, announcing the ruling. Later this month the international court in the Hague will sentence former vice president Bemba for bribing witnesses during his war crimes trial. Bemba was one of a number of presidential hopefuls who appealed a decision by the election commission to ban them from running for president at the December 23 election. The former Belgian colony has not seen a peaceful transition of power since 1960. Current president, Joseph Kabila, who has held office since 2001, has said he will not run again. Bemba had declared his candidacy after making a made a triumphant return home last month, with tens of thousands of supporters turning out to greet him. He returned to Kinshasa from Belgium after the International Criminal Court (ICC) acquitted him of war-crimes charges. In June, a starkly divided five-judge bench overturned Bemba's 2016 conviction and 18-year jail term for war crimes and crimes against humanity committed by his troops in the neighbouring Central African Republic in 2003. Appeals judges however ruled that the original sentence imposed for corruption was too low and a new hearing is scheduled for September 17. 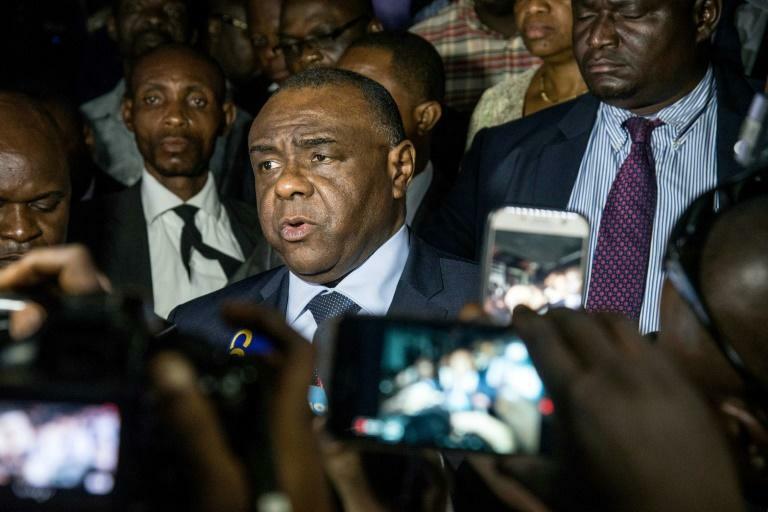 For DR Congo's top court the bribery of witnesses "is an aggravating circumstance" and the electoral commission was right to conclude that Bemba is ineligible for election. The constitutional court also turned down the appeal by former prime minister Adolphe Muzito, another of the six candidates banned from running for president. However it upheld the appeals by two other presidential hopefuls, former prime minister Samy Badibanga and the only female candidate Marie-Josee Ifoku who had both been banned by the electoral commission for falling short of nationality requirements. Meanwhile police arrested and violently dispersed scores of pro-democracy activists Monday during protests against controversial voting machines that the government wants to use in elections. The pro-democracy movement Lucha (Struggle for Change) says the South Korean touch screen voting machines will pave the way for fraud in the long-delayed December 23 ballot. Several members of the UN Security Council, including Britain, France and the Netherlands, have said the UN is ready to offer logistical aid for the election but Kinshasa has rejected all offers of support.